It doesn't get much more fun than this! A cast of 16 athletic dancers doing all sorts of wild and crazy stuff in their new spring fashions from Puma to the hottest hiphop, house and trans beats going, all backed with a three-screen extreme graphics synchronized video projection and killer lighting. The sporting goods dealers definitely saw that the Cat was back! 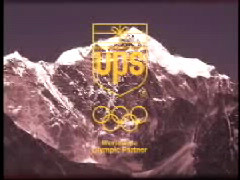 UPS Global Meeting Opener -- A small, single screen video presentation with a custom-produced music track set the stage for UPS' global marketing & sales meeting. With a dramatic mountain-climbing motif we helped deliver a tough message, one of struggles to come but rewards for those who could persevere to the top. A year later UPS had conquered the heights but, as often happens, new unforeseen challenges had appeared in the vision of a first-ever public offering for the company. We picked up where we left off with the mountain motif from the previous year and segued into a positively upbeat take on the new challenges, albeit widescreen and even more dramatic! 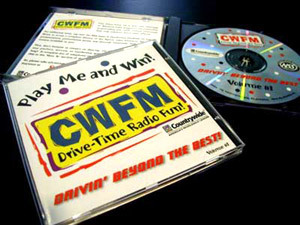 CWFM: Drive-time radio on CD! The new company intranet was an opportunity and a challenge. It was designed to have tons of great resources for the sales folks in Wholesale Lending but getting them to learn it and try it was proving a little tough. We created this drive-time radio broadcast with weather reports, news, a quiz show and call-in contests -- all tied to information and knowledge access on the new intranet. "MARS Power of One WAFC Breakfast & Reception"
The contrast in understanding and business relationship between Mars and its distributors had become polar opposites. In recognition of the need to bring the two sides back together, TGIF created an invitation that showed how opposites can work together to make something really powerful. 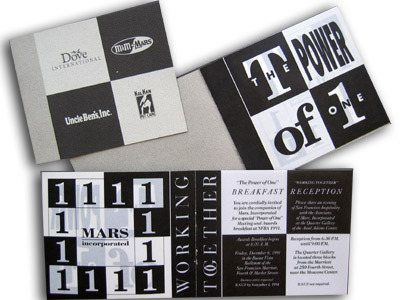 The black and white approach, matched with the ongoing "Power of One" company theme helped start the dialogue at what turned out to be an excellent meeting.